Blair Associates Architecture Ltd last night won Planning Permission for the conversion of Admiralty Arch to a 5* Signature Hotel. 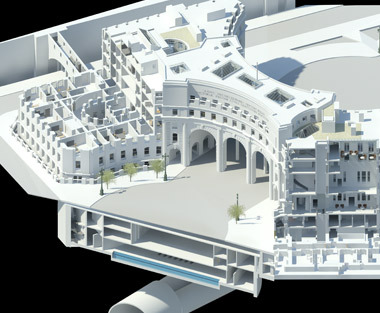 The proposal of Blair Associates Architecture Ltd, identifies the unique opportunity to enhance the significance of the Grade I Listed Admiralty Arch through the re-use, restoration and conversion of the building to a Hotel, Private Members Club and Residence. The over arching aim of the proposal has been to identify and enhance the Heritage values through careful restoration and secure the long term future of the building through the delivery of optimum valuable use. 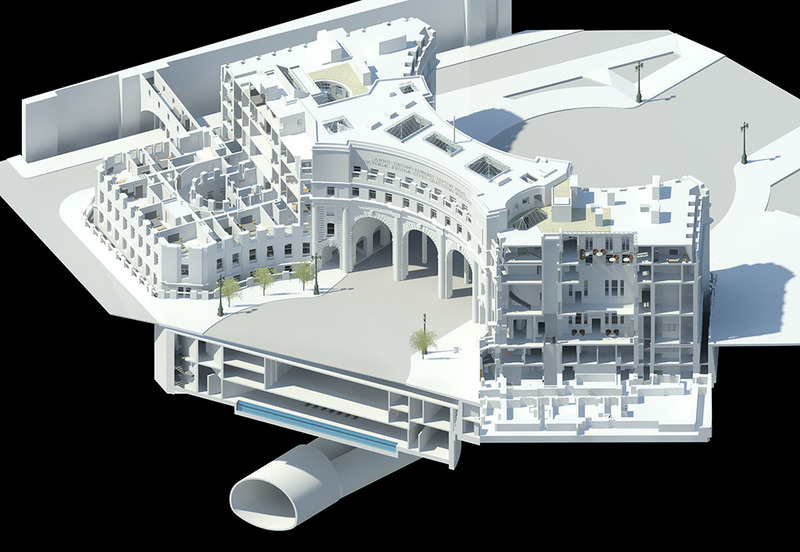 The proposed design respects and complements the iconic Grade I Listed Building and is carefully planned to utilize existing historic fabric, entrances and circulation patterns of Aston Webb’s original design. 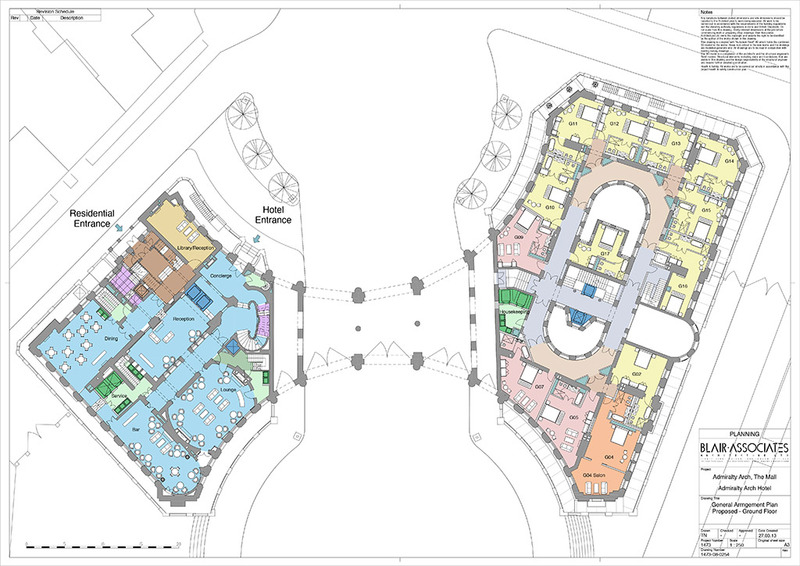 The scheme also provides a single large residential apartment and a Private Members Club. 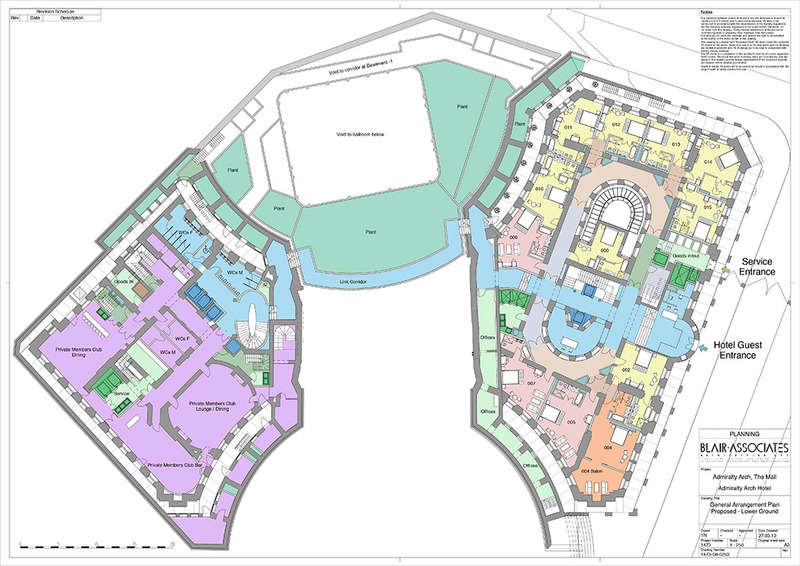 It is anticipated that the project will be completed by early 2016.